If you’re new to (pay-per-click) PPC advertising, this article will get you started in no time. Advertising rules the world. Every day millions of people on the Internet are trying to make their way through myriads of ads, banners, animated ads, pop-ups, and whatnot. Some of this advertising is clearly ridiculous and even offensive to anyone who has a sense of style. But there’s one ad system that governs the Internet advertising market and dictates its terms to all of the members – that is Google AdWords. What Is Google AdWords and How Is It Related to PPC Advertising? Google AdWords is the sole reason for the existence of Google and a source of 90% of its profits. It is a system, which allows companies to place their ads in the form of “sponsored results” links on the search engine results page instead of earning them “organically” (through SEO). 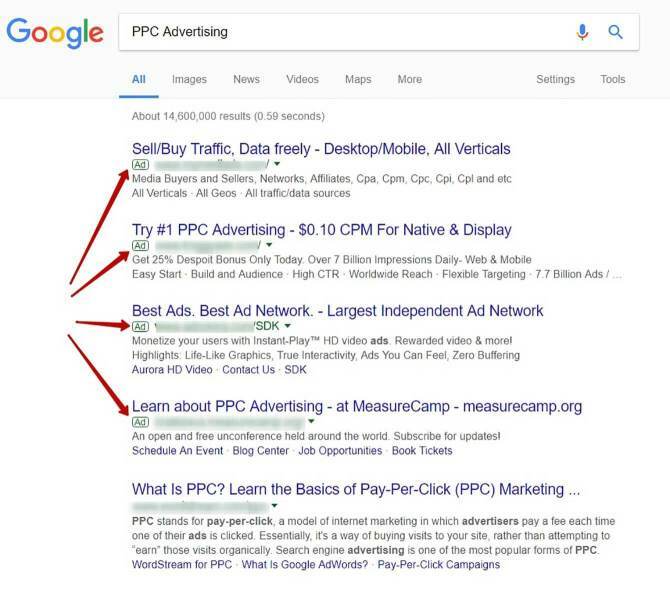 PPC stands for “pay per click”, which pretty much sums up the mechanics of the system – if a user clicks on your ad, you (advertiser) are charged whatever the price you agreed to pay when you set up the campaign. Typically, it looks like this. The number of ads may vary from 1 to 8-10 per page (including the space on the right). As a result, Google is guaranteed to become a few bucks richer (the actual price may vary from a few cents per click for less popular keywords to a few dollars per click for the hot ones). You, on the other hand, are not since the marketing struggle for your customer’s money has just begun. You will still need to convert the guy who clicked on the PPC ad into a paying customer or achieve any other required action from him/her. 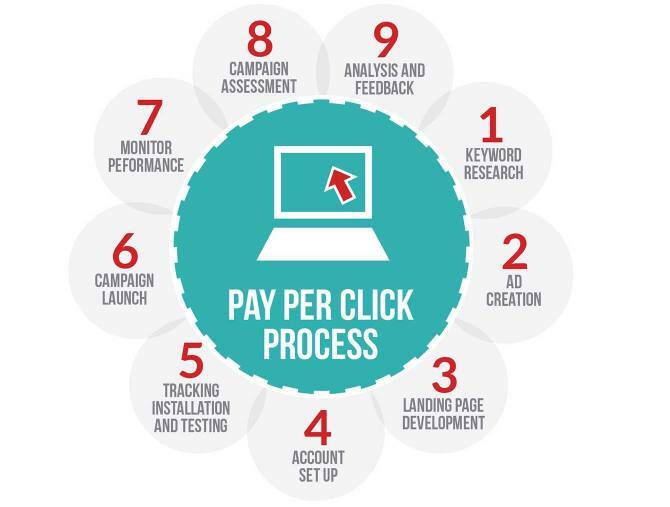 There also a few more things you need to be aware of before starting up your PPC campaign. One of them is Google AdRank, which is a system for ranking advertisers in Google AdWords. Quality Score – a combination of your CTR (click-through rate), ad relevance, and landing page quality. If the first metric is quite obvious, the second one is a bit more ambiguous. By “quality” Google means how relevant your page is to your ad. For example, if your ad says “Stream Videos with Naked Girls for FREE!! !” and your landing page is dedicated to selling lawn mowers, that is clearly a scam. Google will figure that out by a disproportionately high difference between ad CTR and conversion on the landing page, as well as high bounce rate. Are PPC Ads Worth It? The answer is “yes” and “no” – it all depends on the nature of your business and your current Internet marketing strategy. Don’t have much money to spend this month? Take a pause. Can’t handle the incoming paid traffic? Reduce the campaign costs. Want to include more keywords? Run another campaign. All these options come in handy especially if your business is seasonal – when you need an additional marketing push during the holidays, sales, and promotions. If you can offer these people what they want, go with the latter keyword – it would most certainly give you a higher conversion rate. You can have multiple campaigns and run them simultaneously. You can run split tests on your ads or banners. You can redirect people to different landing pages to see which one is working better in terms of conversion rate. There are many things to consider but these ones really matter. Keyword relevance – relevant, well-researched keywords are 50% of your success. This is the most time-consuming yet extremely important part of the PPC process. Landing page quality – making a person click on the ad is one thing. You need to convince him/her that your actual product or service is 1) relevant to the ad (which is not always the case), and 2) worth spending money on. Quality score – something we’ve already mentioned before. The main perk you could get from Google for having a high Quality Score on AdWords is lower rates on PPC ads. 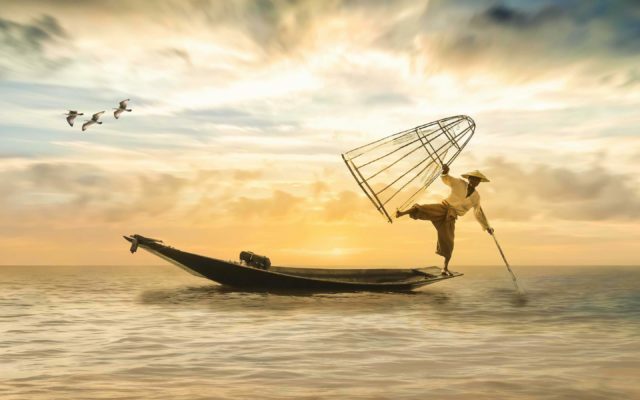 These are you nine steps to greatness – here’s an overview. 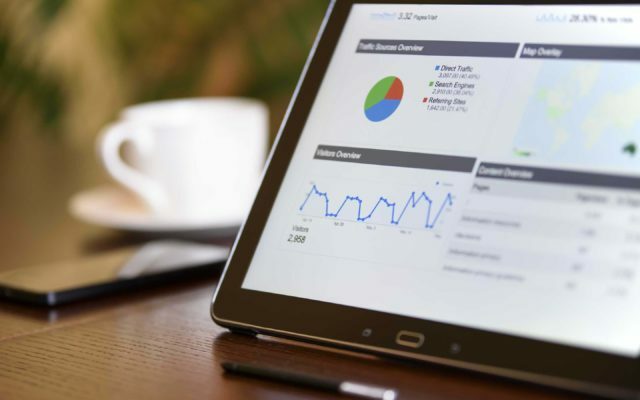 Also, be sure to regularly review the keyword performance as some keywords lose their effectiveness with time, not to mention the changing cost. Google AdWords have their own environment for creating ads, adding images, and tweaking them to your standards so you will be fine. Landing page is a web page where people who click on your ad will be redirected to. Needless to say, it has to be neat, well-designed and focused on the main marketing message – whether it’s signing up, ordering, or purchasing something. But most importantly, it has to be RELEVANT to the actual ad people will be clicking on – that enables a seamless experience and increases your chances for a higher conversion rate. Not much to describe here – the process is really easy and won’t require that much time and effort. After everything’s been set up, testing is what you need to do before the campaign launch. Check how the ads actually appear, whether the copy and images look the way you want them to. Also, check the links, and see if the tracking works. With great fanfare and not without a bottle of champagne, that is. Don’t drink too much though. At this stage, you’re gonna see your dreams crushing at the walls of reality:). People might be acting differently than you thought they would so there’s going to be a lot of tweaking and minor changes before you get everything right. Have you reached the goals you set? Has the campaign been profitable? Has the CTR been sufficient? All these questions need to be answered at this stage based on the data you collect. Final conclusions on the campaign and ideas for improvement. That’s it for now! Thanks for making it to the end of today’s “PPC Advertising Process: How to Turn Your PPC Into $$$” article – I hope you learned something new.